Miscarriage, or the loss of a pregnancy, is a heartbreaking event, especially if you have been struggling to become pregnant. Women and couples from in and around San Diego, California who have experienced miscarriage or other fertility issues have access to expert and compassionate care with Dr. Steven Brody at the Infertility & Lifespan Medical Institute. Call the practice or book a consultation online today. A miscarriage is the name for when a pregnancy unexpectedly ends, usually within the first 20 weeks. Most miscarriages occur in the first 12 weeks of pregnancy, and many women may have miscarriages without even knowing they were pregnant. If pregnancy symptoms like morning sickness or tender breasts aren’t present. First, let’s be clear that normal activities like exercising, working, eating, and even taking medications don’t cause pregnancy loss. In most cases, miscarriages occur because of a chromosomal issue that makes the pregnancy inviable. Sometimes hormonal issues like insufficient progesterone may also contribute to a miscarriage. It’s also possible a structural issue in the womb or health conditions like diabetes or thyroid disorders make it difficult to carry a pregnancy to term. Immunological issues are an important cause of miscarriage, and also a cause of infertility, in many women. At the Infertility and Lifespan Medical Institute, Dr. Brody performs a complete evaluation in order to determine if there is an underlying immune cause for miscarriage or infertility. Auto-immunity, inflammation, “rejection” of the embryo or immune factors affecting blood flow to the womb are all addressed. If you experience signs of a miscarriage, you should call Dr. Brody’s office for an emergency appointment. Depending on the severity of your symptoms and how far along you are in your pregnancy, you will be given advice that will range from staying at home to rest and see what happens through seeking immediate care. When you come into the office, Dr. Brody performs a physical exam and runs some tests to accurately diagnose whether or not you are having a miscarriage. This may include a pelvic exam, ultrasound, and blood work. What treatment is offered for a miscarriage? If you have had a miscarriage, Dr. Brody checks your uterus and, if necessary, removes any remaining tissue to prevent infection and other complications. He checks your physical, mental, and emotional health and suggests any follow up treatment to improve and protect your well being. At the same time, Dr. Brody also checks for signs of the cause of the miscarriage. 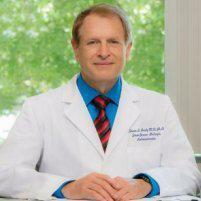 He and his team at the Infertility & Lifespan Medical Institute specialize in identifying the cause of miscarriages. In many cases, Dr. Brody is able to treat the causes of recurrent miscarriage, such as repairing structural issues in the womb. The Infertility and Lifespan medical Institute specializes in the treatment of immunological conditions causing miscarriage or infertility. Dr. Brody offers specific treatments to address these problems based on the actual abnormalities found upon lab testing. If you have concerns or questions about miscarriage, call or schedule a consultation online today to talk to Dr. Brody in more detail.